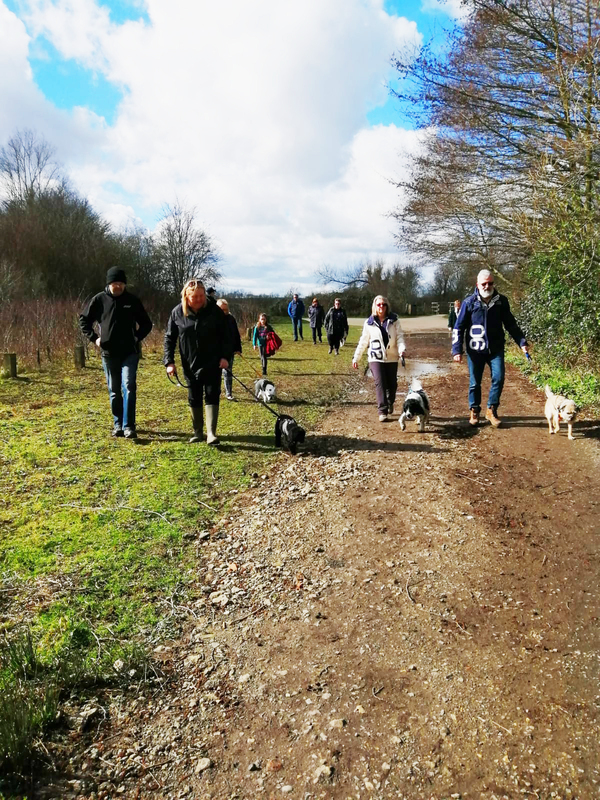 Join us, along with lots of other owners and their dogs, for a one hour group walk through the stunning Leybourne Lakes. This is a great opportunity for your pooch to socialise with other dogs in an outside environment, no matter how confident they are. We walk in two groups, five minutes apart, to accommodate every dog’s needs. If you have a pooch which is prone to playing up on dog walks and desperately needs to get more comfortable around other dogs, they will quickly become used to being near other dogs when outside and their behaviour will often slowly even improve at home too! But if your dog is already comfortable around other pooches, our walks give them a fantastic chance to run around and play with others. Our first group is for the more confident dogs and we give them the chance to run off ahead off the lead. The second group is where the more timid dogs can stay close to their owners on the lead, and get confident around other dogs. Our Social Walks are on selected Sunday mornings at 10am and are completely free to attend, but we do ask that you sign your dog up to help us manage attendance. You can view upcoming walks and book your spot here or send us a message with your dog’s name below!